European reusable packaging pool provider now offers the return of unsorted packaging from the point of sale, simplifying the return process. 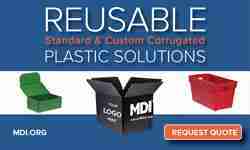 Managing reusable packaging is becoming increasingly difficult, especially as the volume and number of materials grow. This trend is increasing the complexity of the storage, sorting and classification of reusable packaging. 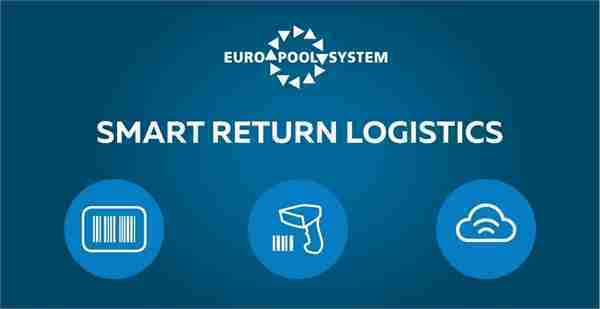 To help companies address these issues, Euro Pool System, which states that is the leading European logistics service provider of reusable packaging, now offers a new service, SMART RETURN LOGISTICS (SRL), to facilitate and optimise the reverse logistics of its distribution partners. The new SRL service allows Euro Pool System to respond to a growing demand from its customers, who want to manage the control of their return flows quickly and efficiently. SRL makes it possible to return unsorted packaging from the point of sale, thus saving considerable time within the supply chain. It is a simple, safe and effective process that gives customers peace of mind. It also eliminates potential errors with manual processing, which can be slow and imprecise. With SRL, trays are placed and returned without any sorting on the same pallet. 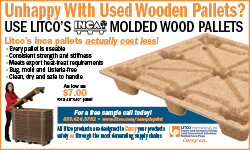 Each retailer places a unique label to each pallet of unsorted trays, making the unit identifiable throughout the return flow. Pallets arrive at the Euro Pool System Service Centre and SSCC numbers are scanned using an automated system – called Vision Control – that provides optical identification of the returned trays, which make up the pallets. The system allows the storage of all data on a cloud platform, for quick online monitoring and the production of comprehensive and detailed reports. Euro Pool System has an ongoing investment program in the most advanced technologies to support its customers in the optimisation of their logistics chain. Thanks to proven technological systems, SRL guarantees optimal management of reusable packaging, from traceability to return logistics. 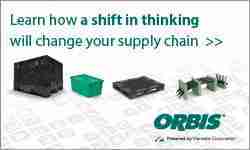 “Our added value is to provide logistics solutions tailored to the needs of each stage in the supply chain. This new service enhances our offer with our many distribution partners and meets their needs, in terms of security and simplicity of processes. It makes it possible to ensure the reliability of data exchanged between all the companies in the supply chain in a cost-effective and mutually beneficial manner”, concluded Jorge.